© 2002, © 2018 by Paul Freeman. Revised 10/28/18. A 1929 photo (either 10/12/29 or 2/20/29) of a Curtiss Condor visitng Miller Field as part of the 1929 National Air Tour (courtesy of James Preston). The first airport for the town of Macon was located on the northeast side of the town. of several aircraft visitng Miller Field as part of the 1929 National Air Tour (courtesy of James Preston). A 1929 photo (either 10/12/29 or 2/20/29) of an amphibian (a Loening?) visitng Miller Field as part of the 1929 National Air Tour (courtesy of James Preston). A 1929 photo (either 10/12/29 or 2/20/29) of a Lockheed Vega 5C Special NC32M from The Detroit News visitng Miller Field as part of the 1929 National Air Tour (courtesy of James Preston). A 10/12/29 photo of a Ford Trimotor & a smaller biplane at Miller Field during the 1929 National Air Tour (courtesy of Marty Steiner). A Spring 1930 photo of a large gathering (possibly for the airport's opening) in front of a hangar marked “U.S. Air Mail, Miller Field” (courtesy of Tom Sicks). A December 1932 photo (courtesy of Jim Preston) of an Army Air Corps Douglas O-38 biplane leaving Miller Field, piloted by General Blanton Winship. The plane might have been from Bolling Field, as the fuselage logo of the Capitol Dome is very similar to the Army Air Corps Bolling Field Detachment insignia. 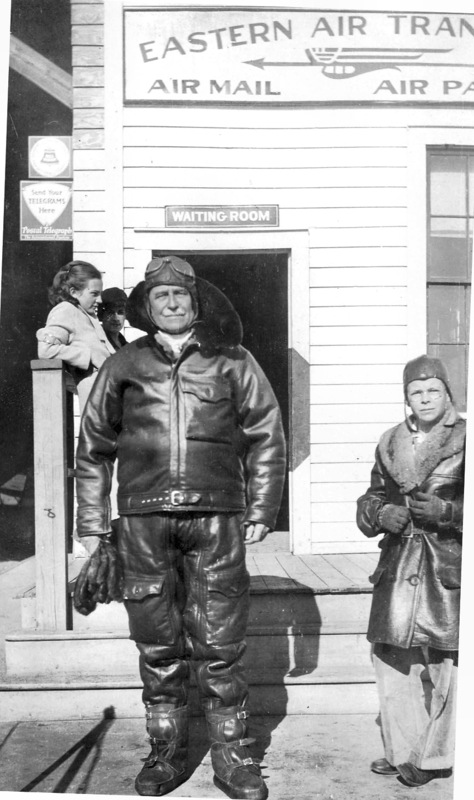 A December 1932 photo (courtesy of Jim Preston) of General Blanton Winship & his nephew David Walker in front of the Eastern Air Transport building at Miller Field. 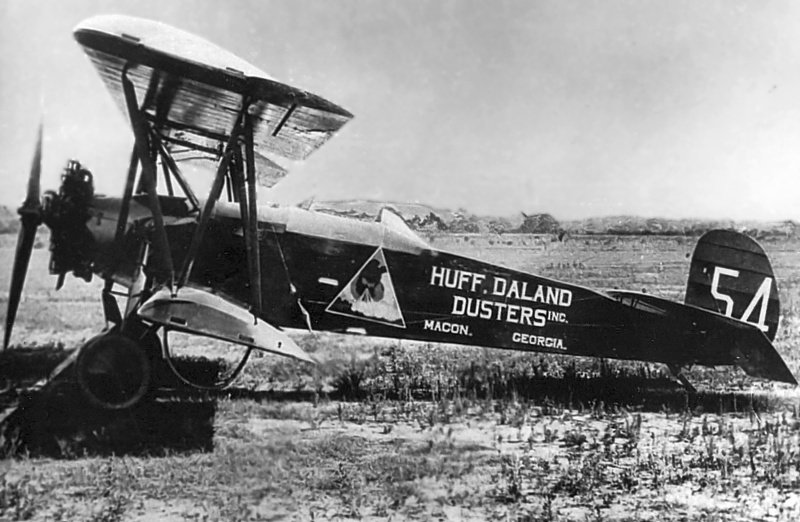 A circa 1930s photo (courtesy of Jim Preston) of a Huff Daland Duster biplane at Miller Field. A 5/13/38 USGS aerial view (courtesy of Jim Preston) depicted Miller Field possibly after its closing. with a few buildings (hangars?) on the northwest side. as the Charles Bowden golf course was built on the site of the “vacant” airport & opened in September 1940. 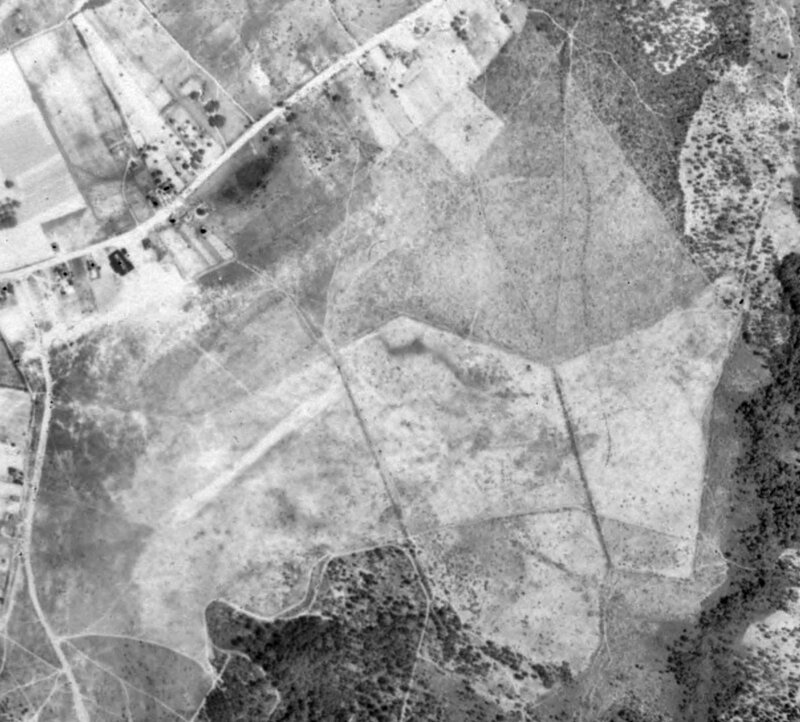 A 1954 aerial photo showed the golf course covering the site, with no trace perceptible of Miller Field. 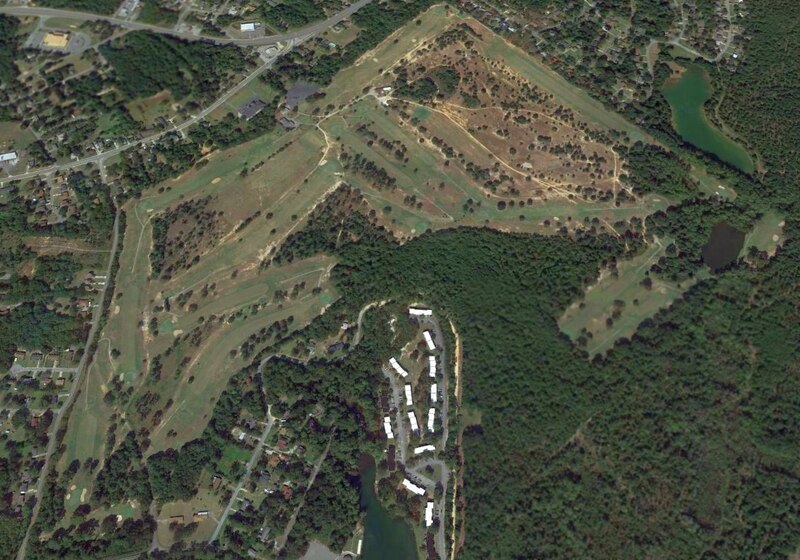 A 2015 aerial view of the site of Miller Field, occupied by the Charles Bolden Golf Course. The site of Miller Field is located south of the intersection of Shurling Drive & Millerfield Road, appropriately enough. Thanks to Jim Preston for pointing out this airfield. 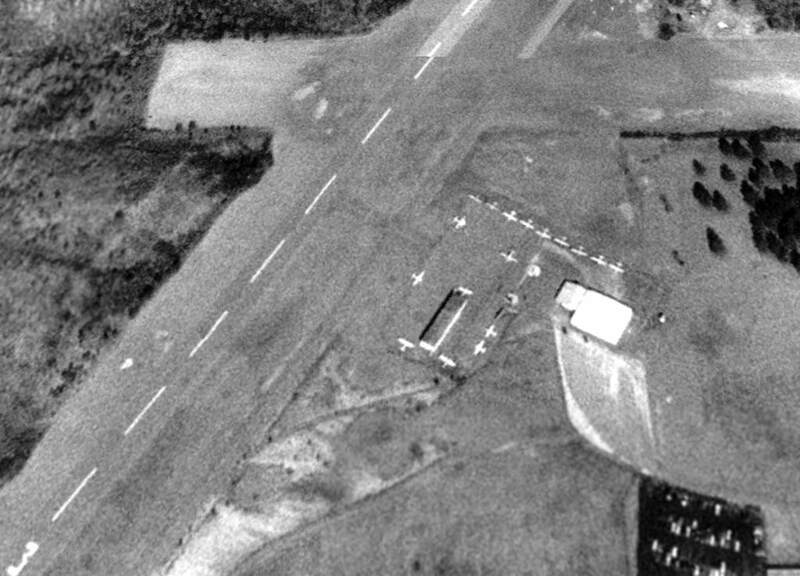 Grant Memorial Airport, as depicted on a 4/4/51 aerial photo (courtesy of David Henderson). The earliest depiction which has been located of Grant Memorial Airport was a 4/4/51 aerial photo (courtesy of David Henderson). There did not appear to be any airport-related structures. along with an unpaved Runway 9/27. Six small buildings were depicted on the east side of the field. as a 2/26/69 aerial view showed Runway 3/21 had been paved & an 2 small buildings had been added to the southeast of the runway intersection. Seven single-engine aircraft were visible on the field. 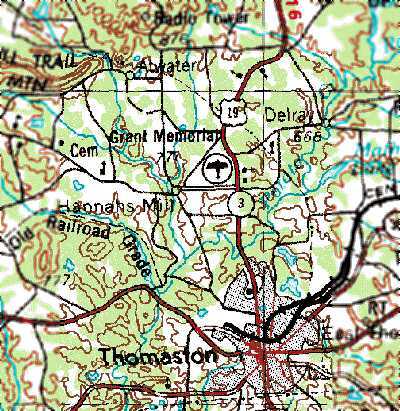 The earliest topo map depiction which has been located of Grant Memorial Airport was on the 1972 USGS topo map. 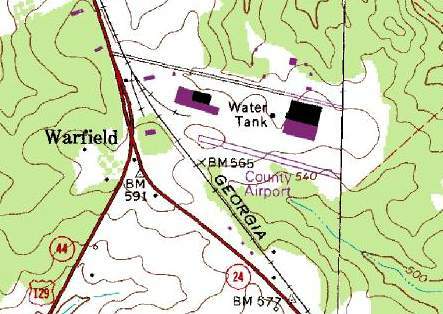 The earliest aeronautical chart depiction which has been located of Grant Memorial Airport was on the 1978 Atlanta Sectional Chart (courtesy of David Henderson). It depicted Grant Memorial as having a single paved 3,000' northeast/southwest runway. 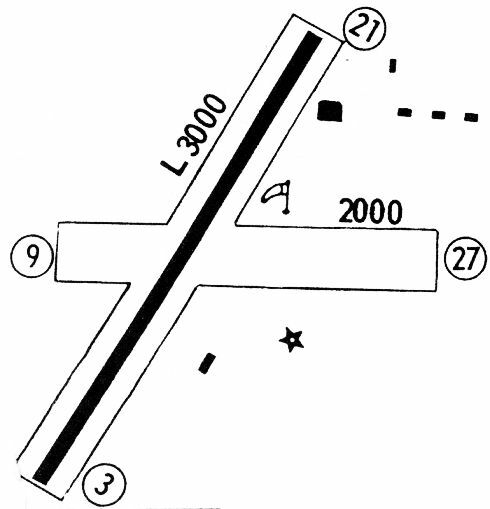 The clearing for the crosswind runway was still depicted, but no longer as a runway. with a total of 18 light aircraft visible on the field. Taxiways had been constructed & a hangar had been added on the east side of the FBO at some point between 1969-93. 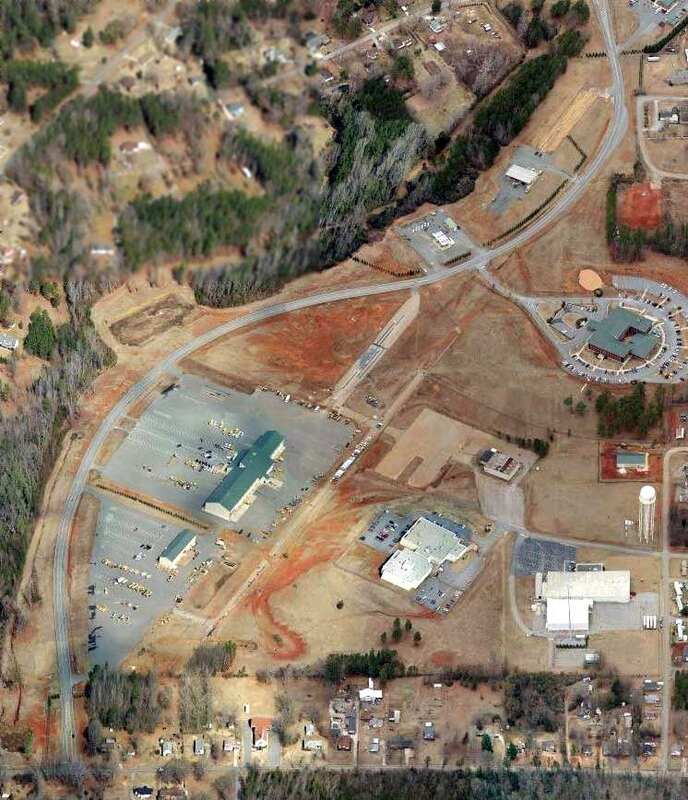 A circa 2011 aerial view looking north (courtesy of David Henderson) of the site of Grant Memorial Airport. 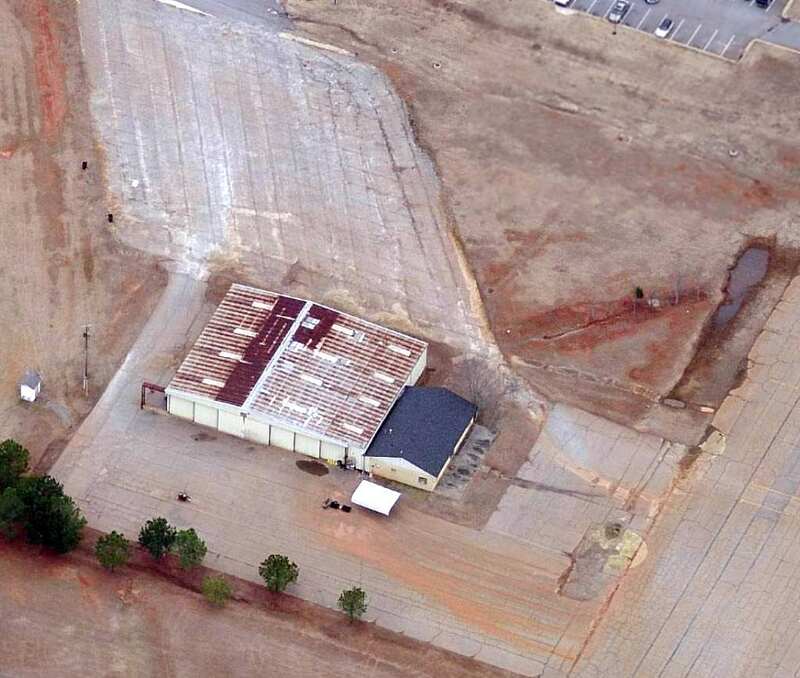 A circa 2011 aerial view looking north (courtesy of David Henderson) of the hangar which remains at the site of Grant Memorial Airport. and the road leading to the old FBO is still named Aviation Drive. 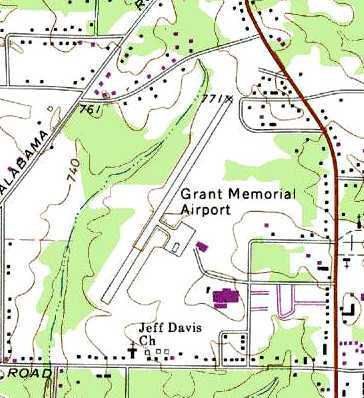 The site of Grant Memorial Airport is located at the western terminus of Aviation Drive, appropriately enough. 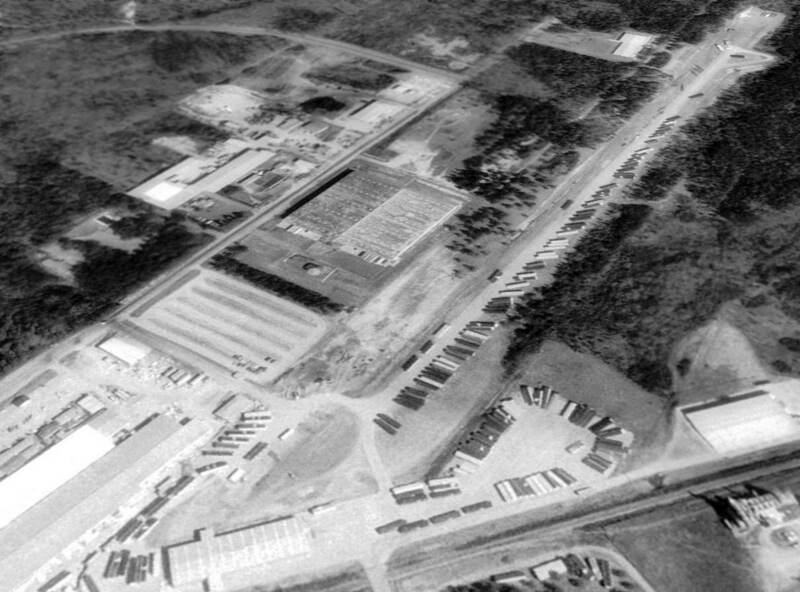 Putnam County Airport, as seen while under construction in a 3/17/71 USGS aerial view. and it appeared to have been under construction in a 3/17/71 USGS aerial view. It depicted land being clearing for a single northwest/southeast runway on the south side of 2 industrial buildings. 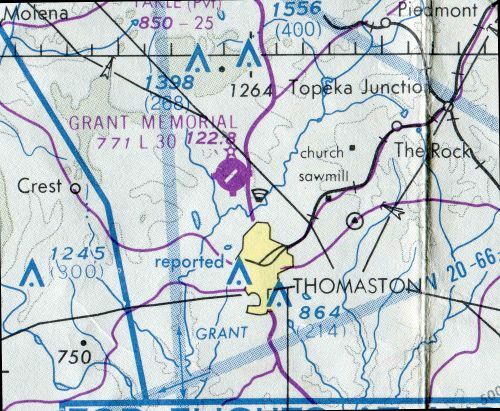 Putnam County Airport was not yet depicted on the 1972 USGS topo map. A 4/29/74 USGS aerial view depicted Putnam County Airport as having a single paved northwest/southeast runway. 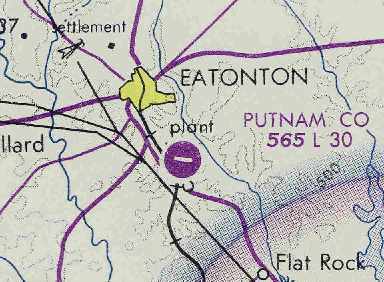 Putnam County Airport was not yet depicted on the October 1975 Atlanta Sectional Chart (according to Chris Kennedy). was on the October 1976 Atlanta Sectional Chart (courtesy of Chris Kennedy). It depicted Putnam County Airport as having a single 3,000' paved runway. 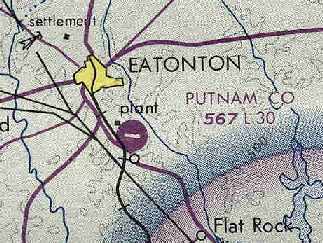 depicted Putnam County as having a single 3,000' paved runway. described Putnam County Airport as having a single 3,000' asphalt Runway 10/28. Marion Seckinger recalled, “I'd stop on occasion at the Putnam County Airport just to see what was parked there. During one visit in the mid to late 1980s, I stopped to talk with a aircraft owner. He related that he was going to be forced to move to the Baldwin County Airport in the near future. had a mobile-home manufacturing facility adjacent to the airport. He coveted that wide-open & paved space to park finished mobile homes on. with a few buildings to the west & north. Putnam County Airport was described by the 1986 Flight Guide (according to Chris Kennedy) as being unattended. The field was depicted as having a single 3,000' paved Runway 10/28. A ramp was located north of the western end of the runway. and 2 much larger buildings were located on the northern side of the field. Putnam County Airport was apparently closed at some point between 1986-93.
needed room to expand its production & storage of mobile homes & trailers. if they were permitted to close the airport & use the room for expansion. at the southern end of Lake Sinclair was more populated & built adjacent to the water. 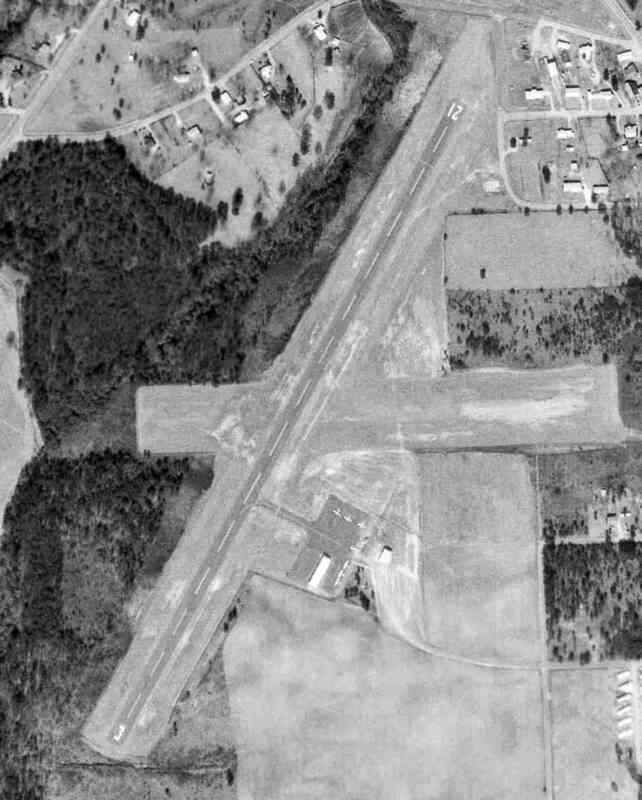 A 1993 USGS aerial view looking northeast at the site of Putnam County Airport showed the runway was still intact, used to store trailers. It is not apparent if any of the airport buildings remained standing. 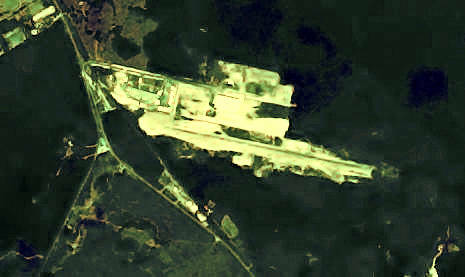 A 1999 aerial photo showed that an industrial building had been built at some point between 1993-99 adjacent to the southeast side of the runway. A 1/29/12 aerial photo of the site of Putnam County Airport shows that the majority of the runway pavement remains, but the site is hardly recognizable as a former airport. one mile south of Eatonton.